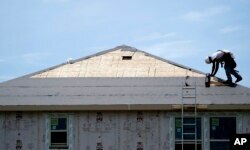 FILE -- A construction worker puts down roofing paper on a new home in Houston. Texas was a popular destination for new home buyers in 2018. 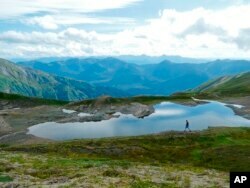 FILE -- A hiker on the Juneau ridge in Juneau, Alaska, a state many home buyers left in 2018 in favor of Washington State.